In the past month the nation has been angered and horrified to learn that dozens—perhaps hundreds—of wealthy families have been implicated in a college admissions scandal. Although none of those indicted have yet proceeded to trial, many involved have already pled guilty to criminal bribery and fraud—all in the interest of getting their children into selective (and even some not-so-selective) colleges. What lessons or insights can we glean from these events? Can anything good come from all of this bad behavior? As someone who taught English for many years at UCLA, and who for almost two decades has helped students gain admission to selective colleges—with literally hundreds of my students accepted to Ivy League campuses—I have a few observations to share. From my point of view, the greatest scandal is that these wealthy parents essentially cheated at cheating. There has long been a legal way to “cheat” your way into an Ivy-level college: simply donate a seven-figure sum, and walk your less-than-qualified student through the front door. This is the path that Jared Kushner’s family took into Harvard. In the current scandal, one of the more puzzling episodes is a local San Diego family, reputed to have sold a company for nearly $300 million, who wrote six-figure checks to Rick Singer to get their child into USC through a “side door.” If they had simply written a slightly larger check to USC itself, their student would have been welcomed with open arms through the front door. Instead, a wealthy and once-respected San Diego resident is facing prison time. In this instance, the “scandal” was that a very wealthy family tried to buy their way in on the cheap. So, one good thing that has come from this scandal is that more people are aware of how common it is for wealthy families to use donations to get unqualified students into college. Another good thing to come from this scandal is that more people are now aware of how powerful legacy preferences and athletic recruitment are in Ivy-level admissions. Students whose parents attended an Ivy-level private school are admitted approximately 25% of the time; an “unconnected” valedictorian has about a 2.5% chance. A legacy student is ten times more likely to be admitted. Recruited athletes have even better chances—about 50%. 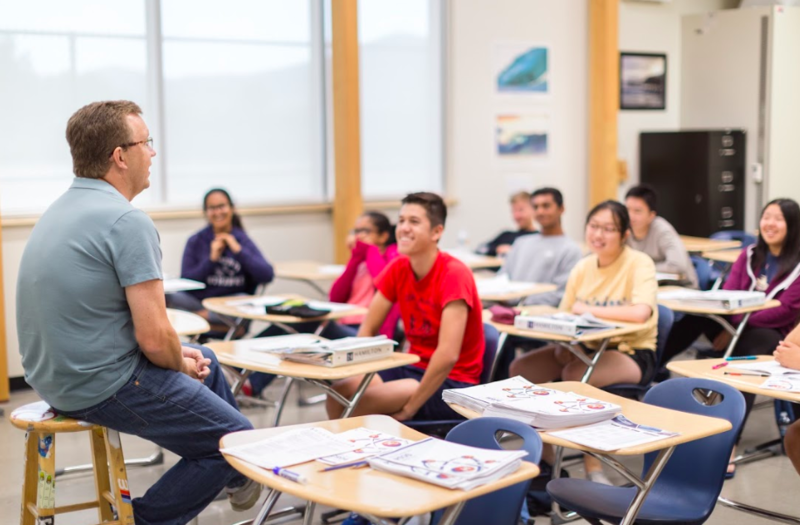 Students from East Coast prep and boarding schools have similar advantages; a Yale admissions officer once admitted that more than half of their class comes from prep/boarding schools. So let’s do a little math. If these advantaged students make up approximately 50% of the freshmen class at an Ivy League campus, and if their chances are 25% to 50%, then the “face rate” of admissions—around 5% to 7% at most Ivies is, of course, an average of the privileged 50% and the rest of the admitted students–very talented, very hard-working students from public high schools. My students. Your students. The “real” acceptance rate for a public high school student is actually about half the published rate—about 2%–3%. That’s one reason we’re very proud that last year our students earned 55% of the EA Harvard acceptances for San Diego county. The 45% who were not our students were mostly…legacies, athletes, and donors. And that’s a reason I think it is now time—perhaps past time—to seriously examine whether athletics, legacy, or donations are valid reasons to admit a student into an Ivy League university. Oxford and Cambridge—universities in a nation ruled by a Constitutional Monarchy—long ago abolished legacy preferences. Why should such practices exist in the United States, a nation founded in opposition to aristocratic privileges? Fortunately, there are some top-tier, very selective universities whose admissions process is very different. MIT and Caltech offer no legacy advantages in admissions. And the UCs, by a law established in 1997, offer no advantages based on gender or race. There is no advantage for legacies at UC campuses, and although athletes can have special paths to admissions, these students make up a tiny fraction of the student body. That’s because half of them gained admission through “special” pathways other than merit and academic achievements. And since this has long been the case, perhaps it’s past time we stop giving these schools the sense of reverence that is often accorded them. Perhaps we need to recognize the difference between being Bill Gates, and being the child of Bill Gates. An educational consulting company with national and international presence that offers college planning, test prep, academic tutoring and enrichment programs located in San Diego.